Our Epic Eleventh Season Finale is live on iPPV on December 2nd! 1) For the Young Lions Cup! -ACH took "Mr. Touchdown" Mark Angelosetti to the limit when they met in the finals of the 10th annual Young Lions Cup. The athletic display beacme an instant classic, coronated by a long standing ovation from the entire Indianapolis audience that saw the spectacle and the crowning of a champion. On that day, Mark Angelosetti was the better man, but ACH came within a heartbeat of winning the Cup - can he fulfill his dream on December 2nd in Philadelphia? 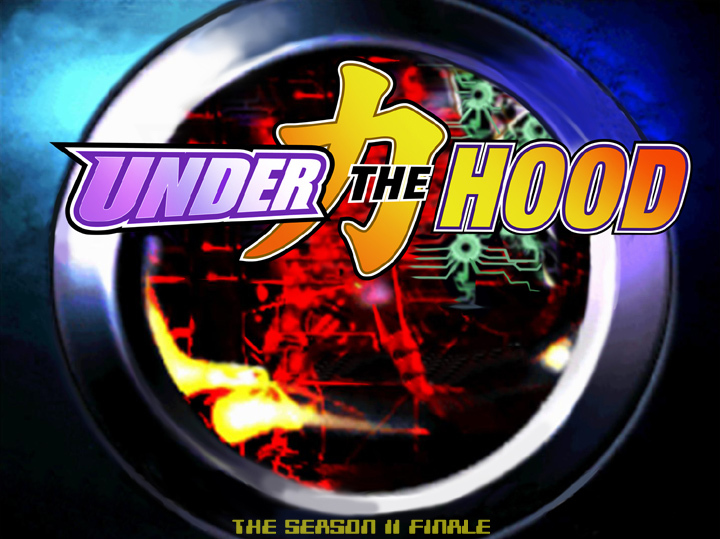 The world will know the answer when pro-wrestling's two hottest up-and-comers lock up once again at "Under the Hood"! 2) Who Leaves with a Title Shot? -CHIKARA currently has a logjam as two teams of former champions with unsettled business look to capture the all-elusive third point to earn a title bout. Both teams currently hold two points, and will face off in Philadelphia - 3.0 (Shane Matthews & Scott "Jagged" Parker) collides with F.I.S.T. (Johnny Gargano & Chuck Taylor) at The Trocadero and one will leave with a title shot...while the other loses everything. 3) The War to Settle the Score! -As much success as The Spectral Envoy (Ultramantis Black, Hallowicked, and Frightmare) has enjoyed in 2012 they have been met at every turn with chaos and opposition at the hands of The Batiri (Obariyon, Kodama, and Kobald), Ophidian, and their twisted leader Delirious. The Spectral Envoy need to find two allies to thwart their opponents at "Under the Hood"... who will UltraMantis unearth to aid him in his hour of need? 4) For the Grand Championship of CHIKARA! -The 9th annual Torneo Cibernetico ended with Tim Donst not just defeating Eddie Kingston, but humiliating our Grand Champion before the sold-out crowd in his hometown! Now Donst has eyes set on the richest of prizes - Eddie Kingston must defend our Grand Championship as the world watches live on iPPV! Live at The Trocadero in Philadelphia, PA!